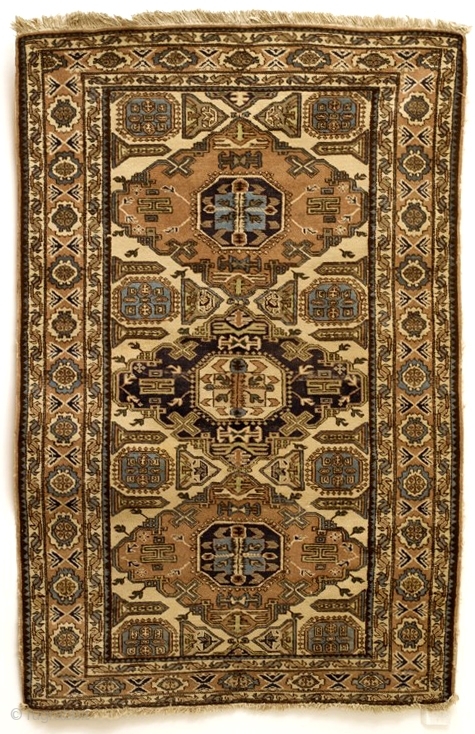 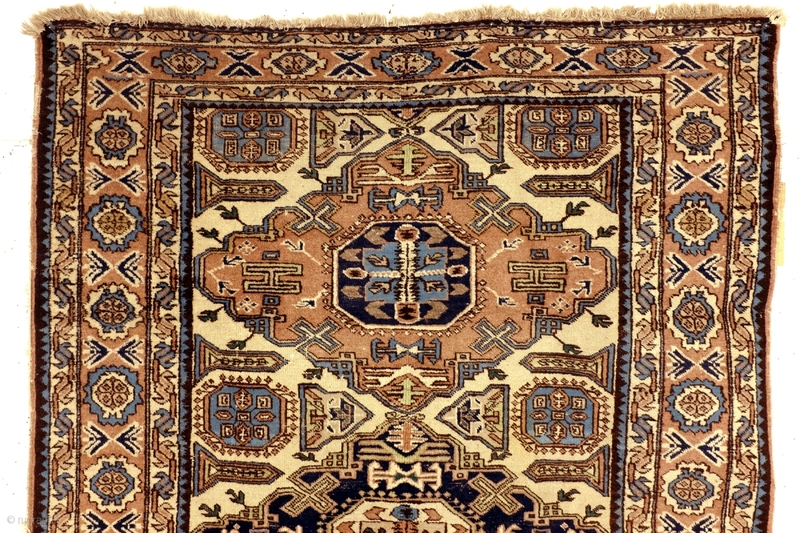 Kazak, Konaghend, Shirvan area, 125 x 225 Cm. 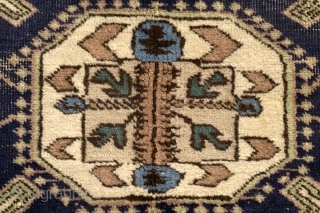 Ivory ground, possibly a dowry gift. 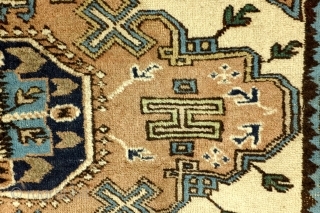 1920 - 1930. 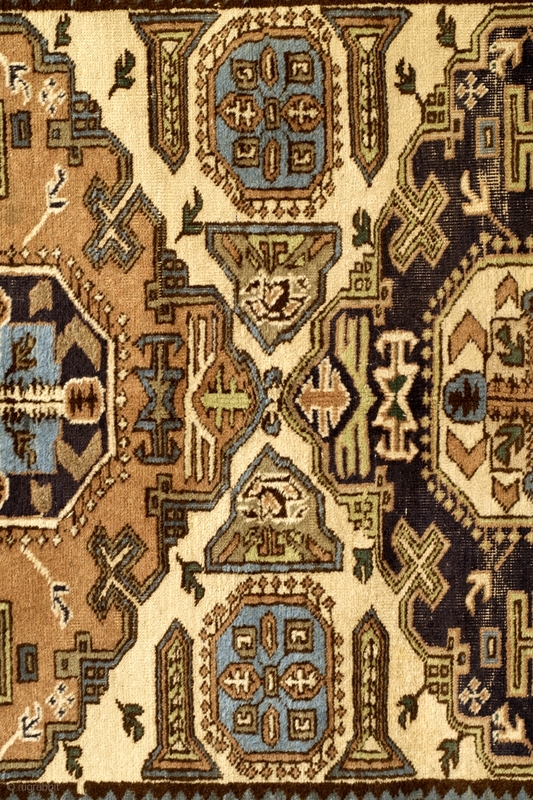 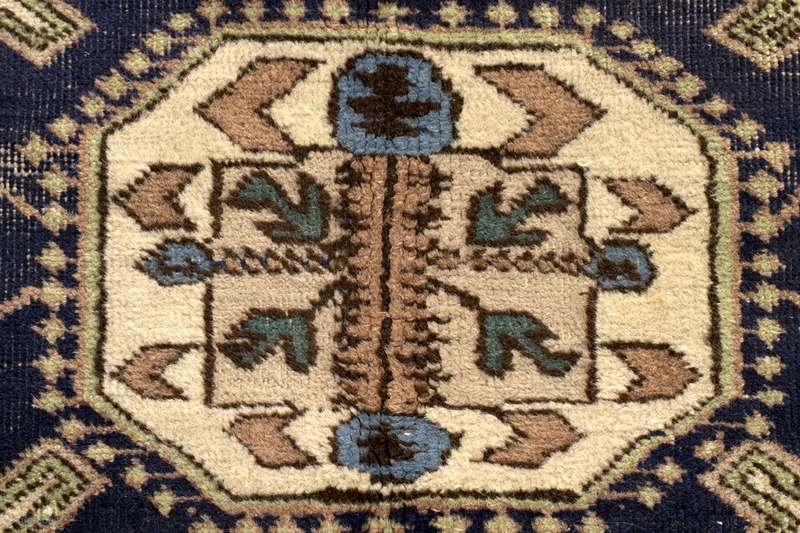 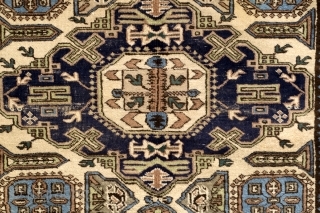 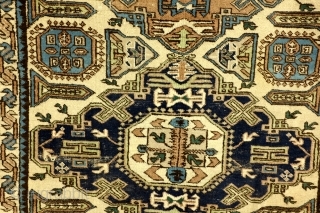 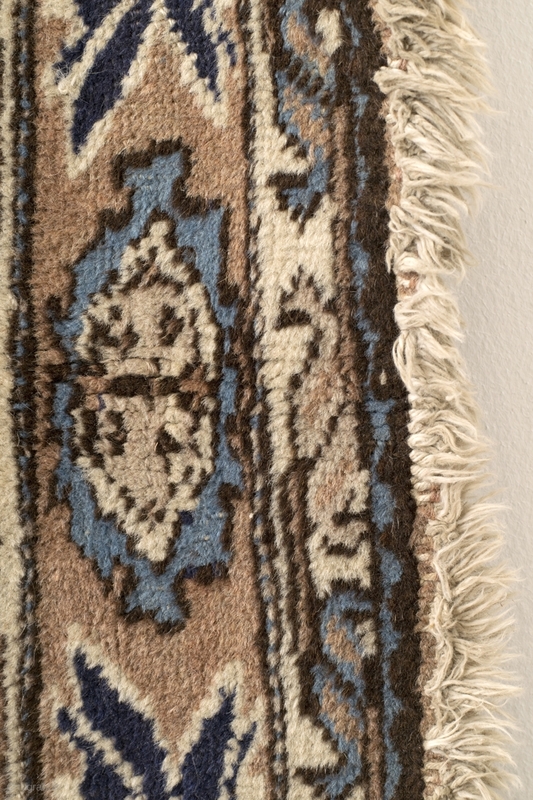 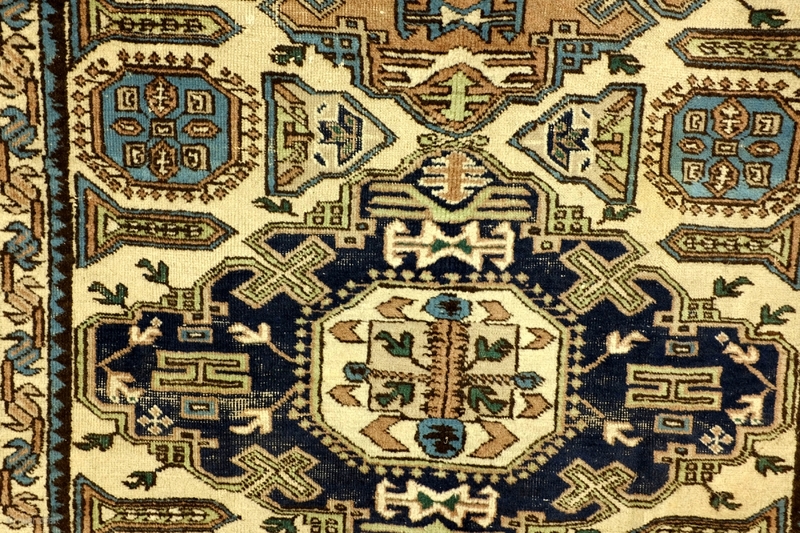 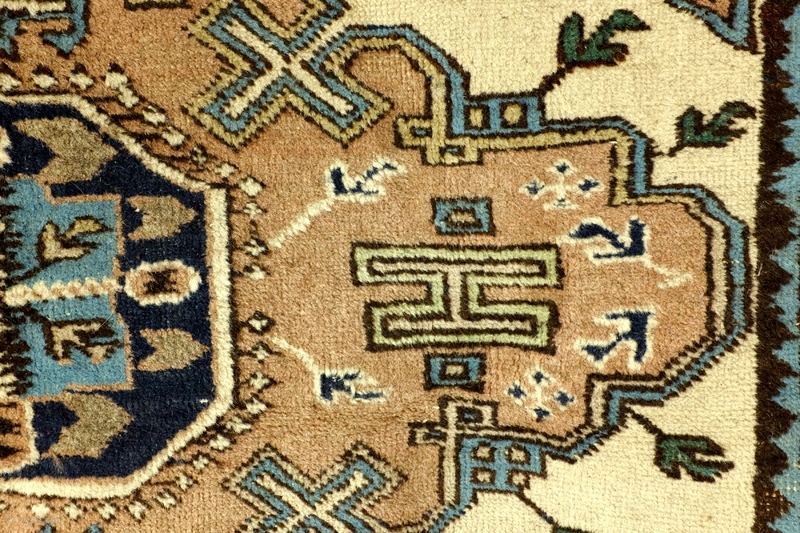 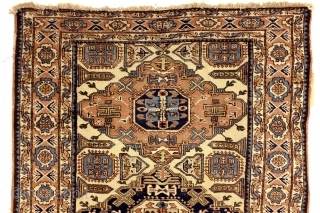 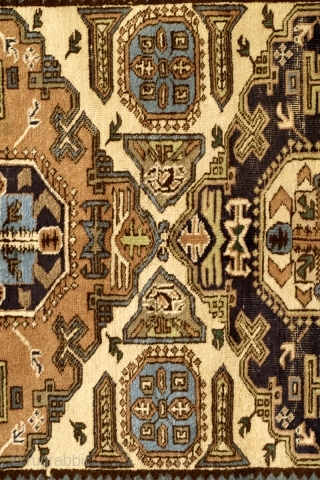 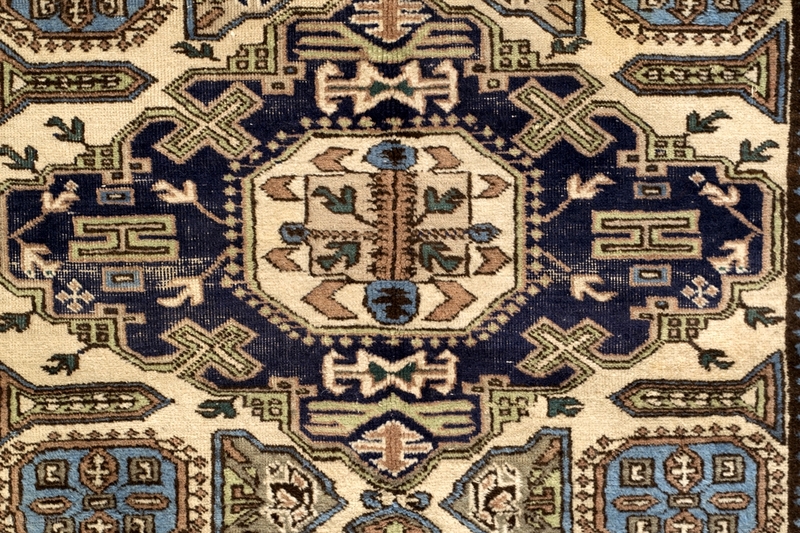 Rarely seen pattern on knotted carpets - mostly on soumacks.